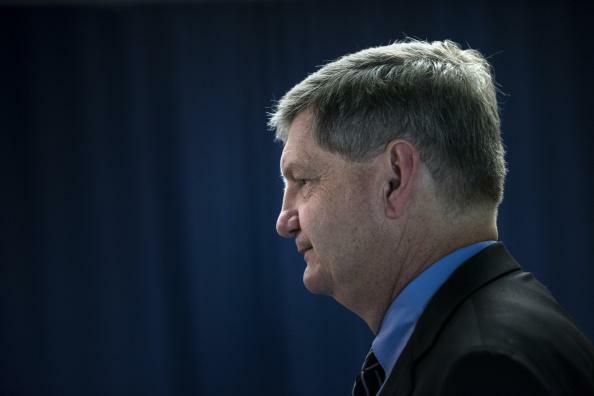 CIA agent espionage conviction: New York Times, James Risen said to have received leaks. A former CIA agent named Jeffrey Sterling has been convicted of espionage for leaking information about an agency operation to a New York Times reporter. The Times’ James Risen wrote about the operation, which involved Iran’s nuclear program, in his 2006 book State of War. Prosecutors believed that Sterling had given Risen classified information and subpoenaed Risen, demanding he reveal the sources of the account in his book. Risen refused and the Justice Department ultimately backed off the demand. That did not stop prosecutors from building a case against Sterling. The Justice Department had no direct proof that Mr. Sterling provided the information to Mr. Risen, but prosecutors stitched together a strong circumstantial case. They described Mr. Sterling, who is black, as bitter and frustrated about what he believed was workplace discrimination. Telephone records and emails showed that Mr. Sterling and Mr. Risen talked frequently, and prosecutors argued that only Mr. Sterling had the information, the motive and the opportunity to leak it. Sterling was convicted on nine counts and could face “dozens” of years in prison. He is set to be sentenced on April 24.